Rev. Armando and Icel Rodriguez at the HSE event. Jet lag usually is a significant inconvenience on mission trips to distant time zones. On our recent trip to Zambia (April 1-11), however, jet lag proved to be a major blessing. We were there to participate in the Holy Spirit Encounter at Kitwe’s New Life Center. During one of those sleepless nights we had the opportunity to witness firsthand how our brothers and sisters in Zambia seek God’s presence in the early hours. Still awake at 4AM, I started to hear prayers being lifted up in the sanctuary nearby. I walked there to find two men praying on their knees. Not long after that, others started to join in prayer and praises to the Lord. By 4:30AM, around 20 people had gathered for a lively worship service and one of the pastors delivered a powerful message. When we heard prayers the next morning at the same time, we found out that the retreat began every day with this service, at 4AM! 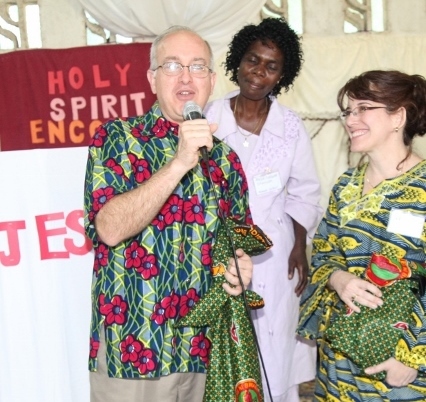 Not surprisingly, the church in Zambia has grown from 5 to 90+ United Methodist congregations in the last ten years. As they honor the call from 2 Chronicles 7:14 (“if My people who are called by My name will humble themselves, and pray and seek My face, and turn from their wicked ways, then I will hear from heaven, and will forgive their sin and heal their land”), God is faithful to His promises and blesses them abundantly. Rev. Delbert and Sandy Groves, missionaries at the New Life Center, Zambia. 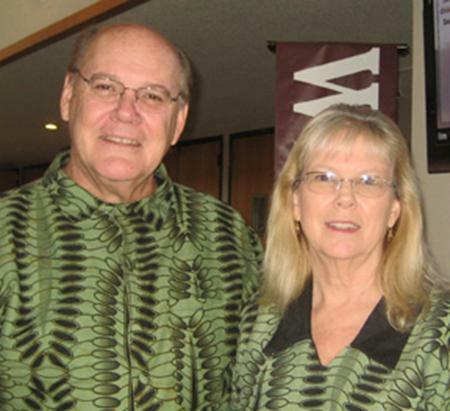 Delbert and Sandy Groves founded the New Life Center 13 years ago when they began their ministry in Zambia. Since 2001 they sponsor the Holy Spirit Encounter, a gathering of young pastors and lay leaders who seek to strengthen their hands for the mission of “making disciples of Jesus Christ for the transformation of the world.” In addition, the Groves’ holistic ministry includes many other outreach programs such as leadership training, tutoring, community health education, discipleship and evangelism, new church planting, a printing press center, and a PET ministry (Personal Energy Transportation). We wanted Rev. Delbert Groves and Rev. Charles Mulemena (Director of the New Life Center) to explain some of these ministries themselves. The videos below are only a glimpse into what they do for the glory of God. As I bring back these wonderful memories, I pray that United Methodists in Florida will continue to join them in prayers and support. As in the campfire video below, I pray that the fire of the Holy Spirit will continue to fall upon our lives and churches in Florida as it is already happening in Zambia. To learn more about the Groves’ ministry and find out how to support them, visit their website at newlifezambia.com.